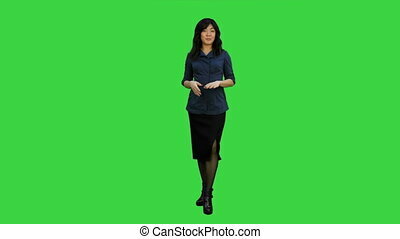 Asian business women looking document file in her hand on a Green Screen, Chroma Key. Close up. Professional shot in 4K resolution. 080. You can use it e.g. in your commercial video, business, presentation, broadcast video. 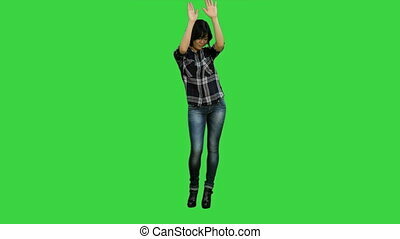 Fun cheerful asian girl dancing looking at camera on a Green Screen, Chroma Key. Close up. Professional shot in HD resolution. 080. You can use it e.g. in your commercial video, business, presentation, broadcast video. 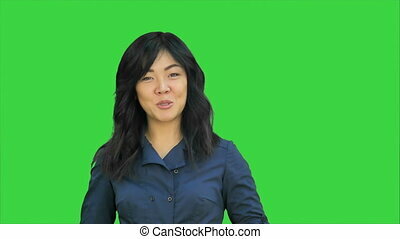 Positive asian businesswoman talking, looking at camera on a Green Screen, Chroma Key. Close up. Professional shot in 4K resolution. 080. You can use it e.g. in your commercial video, business, presentation, broadcast video. 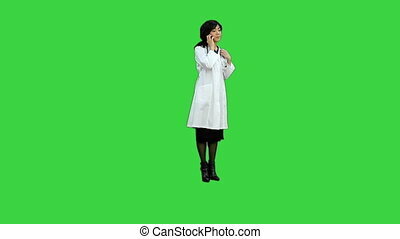 Angry asian business woman talking on cell phone on a Green Screen, Chroma Key. Professional shot in 4K resolution. 080. You can use it e.g. in your commercial video, business, presentation, broadcast video. 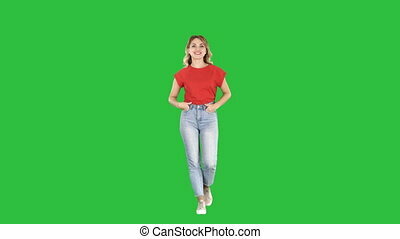 Successful young business woman happy for her success on a Green Screen, Chroma Key. Professional shot in 4K resolution. 080. You can use it e.g. in your commercial video, business, presentation, broadcast video. 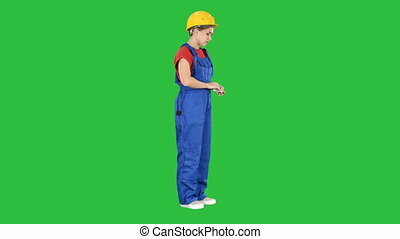 Successful young business woman happy for her success on a Green Screen, Chroma Key. Professional shot in HD resolution. 080. You can use it e.g. in your commercial video, business, presentation, broadcast video. 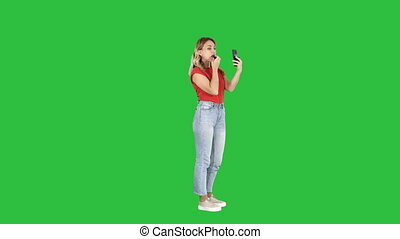 Asian businesswoman using mobile phone on a Green Screen, Chroma Key. Professional shot in 4K resolution. 080. You can use it e.g. in your commercial video, business, presentation, broadcast video. 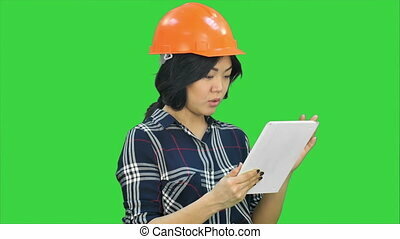 Asian engineer woman using tablet on a Green Screen, Chroma Key. Professional shot in 4K resolution. 080. You can use it e.g. in your commercial video, business, presentation, broadcast video. Asian woman doctor using smartphone on a Green Screen, Chroma Key. Professional shot in HD resolution. 080. You can use it e.g. in your commercial video, business, presentation, broadcast video. 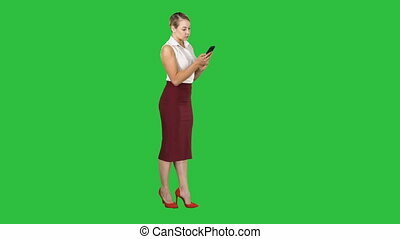 Asian business lady chatting using a tablet on a Green Screen, Chroma Key. Close up. Professional shot in 4K resolution. 080. You can use it e.g. in your commercial video, business, presentation, broadcast video. 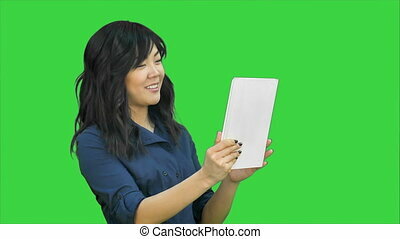 Pensive asian woman makes some notes in notepad on a Green Screen, Chroma Key. Close up. Professional shot in 4K resolution. 080. You can use it e.g. in your commercial video, business, presentation, broadcast video. Female asian doctor with stethoscope looking at x- on a Green Screen, Chroma Key. Professional shot in HD resolution. 080. You can use it e.g. in your commercial video, business, presentation, broadcast video. 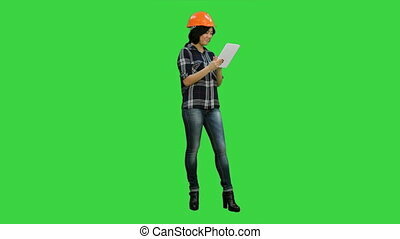 Asian engineer woman using tablet on a Green Screen, Chroma Key. Close up. Professional shot in 4K resolution. 080. You can use it e.g. in your commercial video, business, presentation, broadcast video. 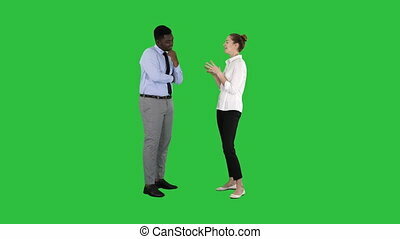 Young asian women standing and talking to a camera on a Green Screen, Chroma Key. Professional shot in 4K resolution. 080. You can use it e.g. in your commercial video, business, presentation, broadcast video. 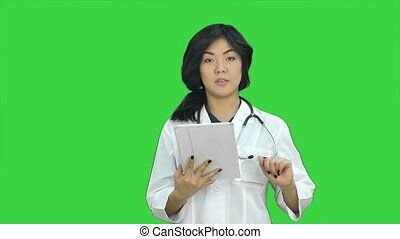 Charming beautiful asian woman doctor hand holds tablets, presenting product on a Green Screen, Chroma Key. Professional shot in HD resolution. 080. You can use it e.g. in your commercial video, business, presentation, broadcast video. 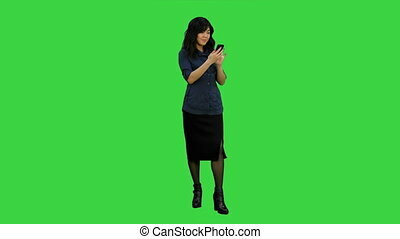 Pensive asian businesswoman reading presentation on smartphone, looking at camera on a Green Screen, Chroma Key. Close up. Professional shot in 4K resolution. 080. You can use it e.g. in your commercial video, business, presentation, broadcast video. 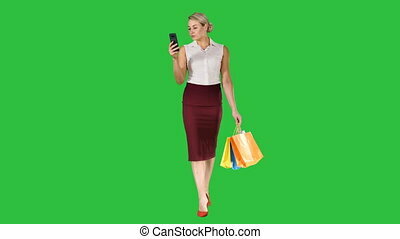 Portrait of a young business woman presenting something by a hand. Close up on a Green Screen, Chroma Key. 076. You can use it e.g. in your commercial video, business, medical presentation, broadcast video. 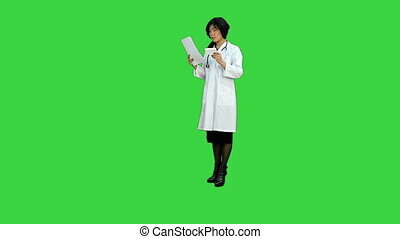 Female doctor looking at xray of human brain on a Green Screen, Chroma Key. 076. You can use it e.g. in your commercial video, business, medical presentation, broadcast video. 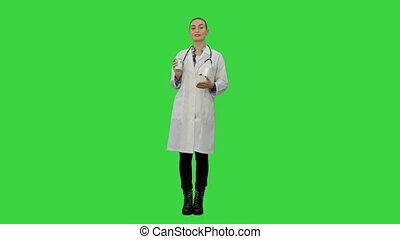 Smiling doctor recommending pills on a Green Screen, Chroma Key. 076. You can use it e.g. in your commercial video, business, medical presentation, broadcast video. Teen people shaking hands and looking at camera. Close up on a Green Screen, Chroma Key. 076. You can use it e.g. in your commercial video, business, medical presentation, broadcast video. 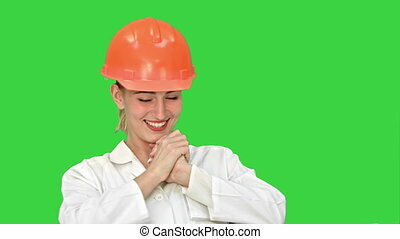 Very happy woman in orange helmet winning and celebrating her successful win. Close up on a Green Screen, Chroma Key. 076. You can use it e.g. in your commercial video, business, medical presentation, broadcast video. 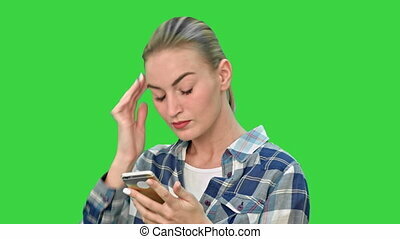 Troubled woman reading bad text news on phone touching her head in misery. Close up on a Green Screen, Chroma Key. 076. You can use it e.g. in your commercial video, business, medical presentation, broadcast video. 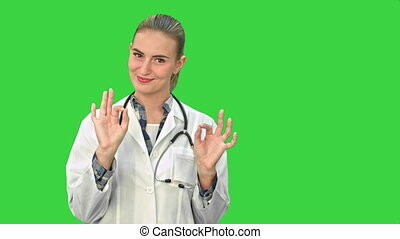 Female doctor show Ok sign looking at camera smiling trustful. Close up on a Green Screen, Chroma Key. 076. You can use it e.g. in your commercial video, business, medical presentation, broadcast video. 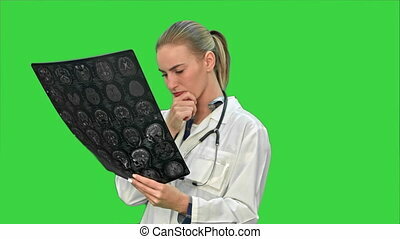 Female doctor looking seriously at xray results of human brain. Close up on a Green Screen, Chroma Key. 076. You can use it e.g. in your commercial video, business, medical presentation, broadcast video. Young women standing with digital tablet presenting the project. Close up on a Green Screen, Chroma Key. 076. You can use it e.g. in your commercial video, business, medical presentation, broadcast video. 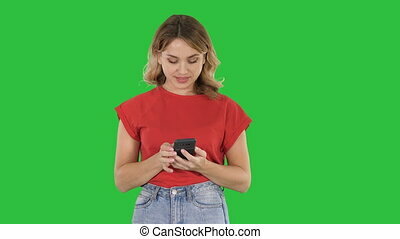 Beautiful young woman laughing while looking at digital tablet. Close up on a Green Screen, Chroma Key. 076. You can use it e.g. in your commercial video, business, medical presentation, broadcast video. 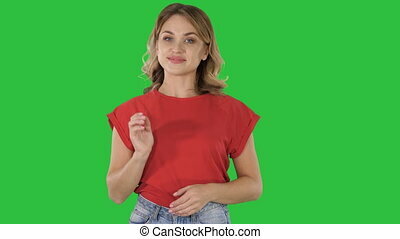 Happy smiling woman in casual presenting and showing something on a Green Screen, Chroma Key. 076. You can use it e.g. in your commercial video, business, medical presentation, broadcast video. 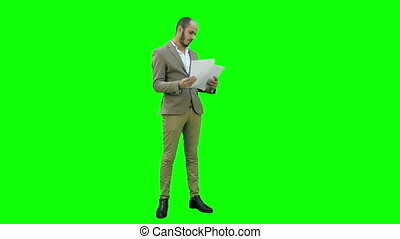 Young businessman attentively studing documents. Professional shot on a Green Screen, Chroma Key on Lumix GH4 in 4K resolution. You can use it e.g. in your commercial video, business, presentation, broadcast video. 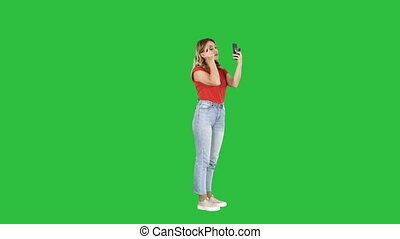 Happy woman is dancing on her own using smartphone at work place on a Green Screen, Chroma Key. 076. You can use it e.g. in your commercial video, business, medical presentation, broadcast video. 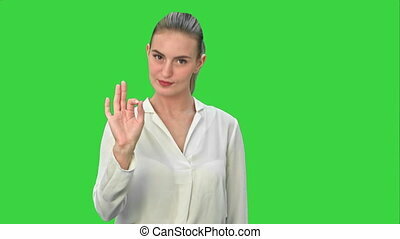 Happy young woman showing OK sign. Close up on a Green Screen, Chroma Key. 076. You can use it e.g. in your commercial video, business, medical presentation, broadcast video. 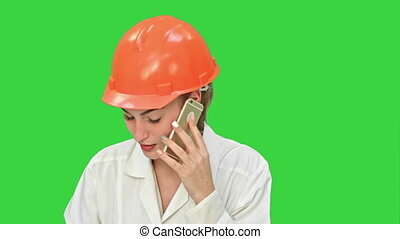 Angry woman construction worker in a hardhat shouting, talking on smartphone. Close up on a Green Screen, Chroma Key. 076. You can use it e.g. in your commercial video, business, medical presentation, broadcast video.